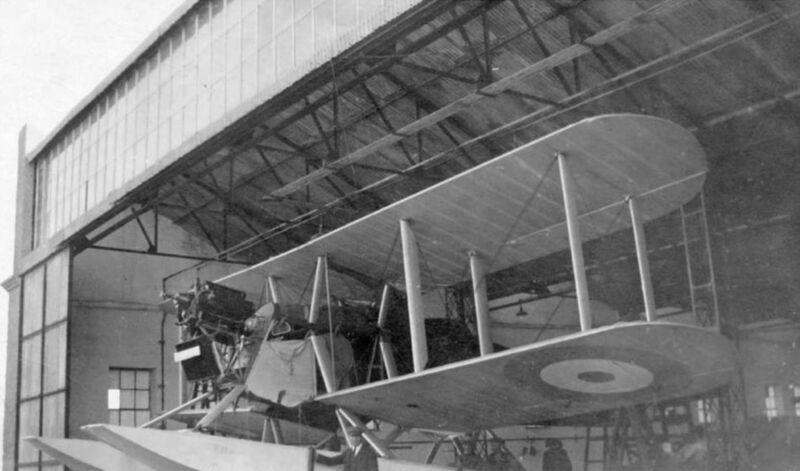 At the end of the First World War Greece took delivery of 42 Airco (de Havilland) D.H.9 bombers, powered by 230 h.p. BHP engines, which were used mainly by the naval air force during the Asia Minor campaign and were subsequently transferred to Tatoi airfield and the Phaleron naval base. The KEA reconditioned a number of these and at least six were modified into seaplanes in 1926, the first such machine being N.A.97. The pristine reconditioned D.H.9 with its new float undercarriage seen here is N.A.101, which was test-flown from Phaleron Bay in May 1927. 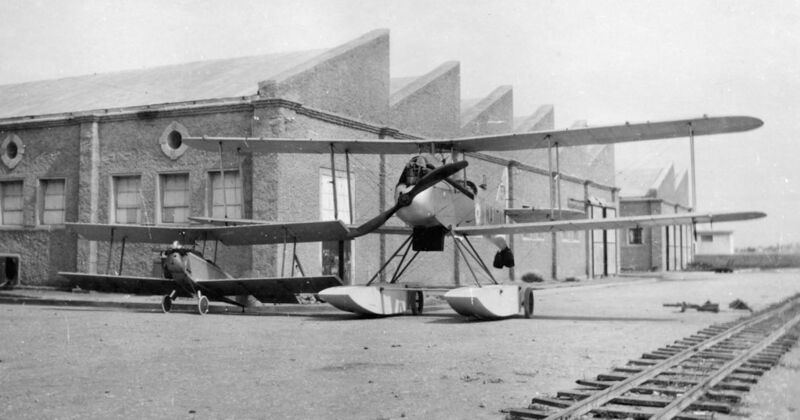 Beside the D.H.9 is the sporting biplane possibly built for Lowe-Wylde. Similar in size and configuration to the later Currie Wot, it has a closely-cowled horizontally-opposed two-cylinder air-cooled engine, which turned an extremely small two-bladed wooden propeller. The wings are unstaggered, with full-span ailerons on the lower wing only. Any further info on this machine to the Editor, please! 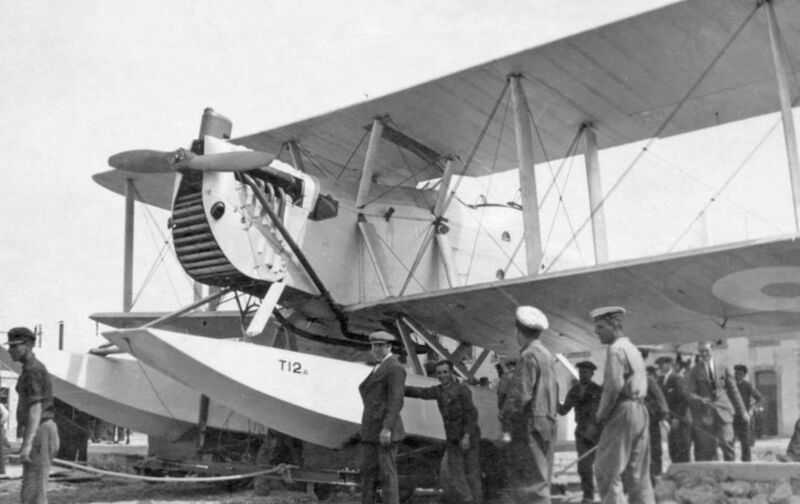 Although it has been written that T.12 made its maiden flight from Phaleron Bay on March 31, 1926, piloted by Col The Master of Sempill, the caption on the back of this photograph reads: “The 2nd Greek machine, Seaplane Torpedo Carrier, 5min before her first flight, Wed April 7, outside our factory”. The launch was not easy, there being no slipway, so the aircraft had to be launched from the beach by an inexperienced handling party. The Greek-built examples differed from those built in Britain in having built-up rear cockpits to raise the Scarff ring for the gun. Two were fitted with dual controls for use as trainers, and several were still in service as late as 1934. The ladies enjoy a day beside the seaside watching the second KEA-produced Blackburn Velos, T.12, being hauled into Phaleron Bay in April 1926. Only one of the photographs bears a caption on the reverse; it is signed by “Wallace”, presumably the Blackburn employee who took the photographs. The second product of the KEA factory was float-equipped T.12, seen here being manhandled from the factory to the shore of Phaleron Bay. Another ten examples of the Velos were built by the KEA for the Greek Navy, making a total of 12, in addition to four built in Britain. Note the distinctive maw of the Napier Lion installation. The Blackburn Velos was a two-seat development of the company’s Dart torpedo-bomber, and was designed by Maj F.A. Bumpus in 1925 to a Greek naval requirement for a coastal-defence aircraft. 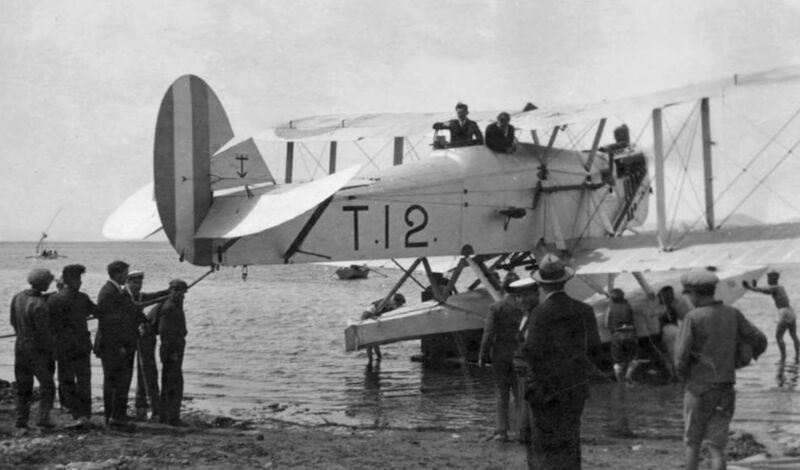 Although the Velos was designed from the outset as a seaplane, the first of the Greek-produced examples, T.11, was fitted with a wheeled undercarriage and made its first flight from a rough airstrip behind the KEA factory on March 17, 1926. Interestingly, the floats on this example, seen at the KEA factory without its engine cowling, bear the marking T.11, suggesting that this is the first of the Greek machines after it had been fitted with a float undercarriage. 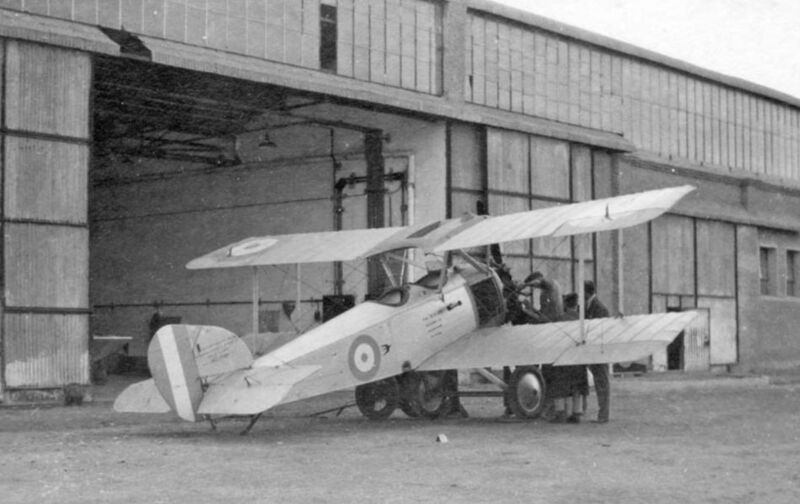 A Greek enigma; while Lowe-Wylde was in Greece he commissioned Blackburn to build an aeroplane for him, and this diminutive single-seat single-bay biplane of approximately 21ft (6-4m)-span may have been the result. Its identity remains uncertain as it it bears no markings, the Greek civil register not beginning until 1934. The next step for the KEA was to produce an entirely indigenous Greek aeroplane. 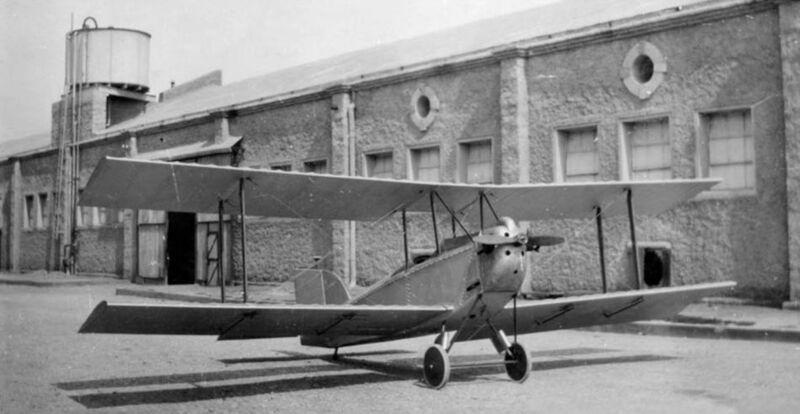 Named the Chelidon (Swallow), it was a small spruce-and-plywood fabric-covered open-cockpit two-seat biplane trainer and survey aeroplane of 26ft 3in (8m) span, powered by a nine-cylinder 130 h.p. Salmson air-cooled radial engine. All of the design and construction of the Chelidon was undertaken by the Greeks, under the supervision of Maj F.C. Buck and Mr Charles Herbert Lowe-Wylde. Only eight weeks after drawings were started, the aircraft was ready to fly. Taxying trials began on February 5, 1927, “straights” followed on the 9th and a circuit was flown on the 20th. During the ensuing three months of testing, it proved disappointing and it is believed that it was scrapped in 1938. A Greek navy order of late 1926 for 18 Chelidons was cancelled.